There is nothing like eating a piping hot bowl of halwa as one begins to feel the slight nip in the air with the onset of winters. And if you thought this popular comfort food was only eaten in India, you couldn't have been more wrong. There is nothing like eating a piping hot bowl of halwa as one begins to feel the slight nip in the air with the onset of winters. And if you thought this popular comfort food was only eaten in India, you couldn't have been more wrong. Halwa (halawa, alva, haleweh, halava, helava, helva, halwa, halua, aluva, chalva, chałwa) is served across the Middle East, South Asia, Central and Eastern Europe and even in many parts of Africa as well! Identical sweets exist in other countries, such as China, though these are not generally referred to as "halva". Such is the popularity of the halwa that people are now reinterpreting the dish in their own way and with some rather unusual ingredients. 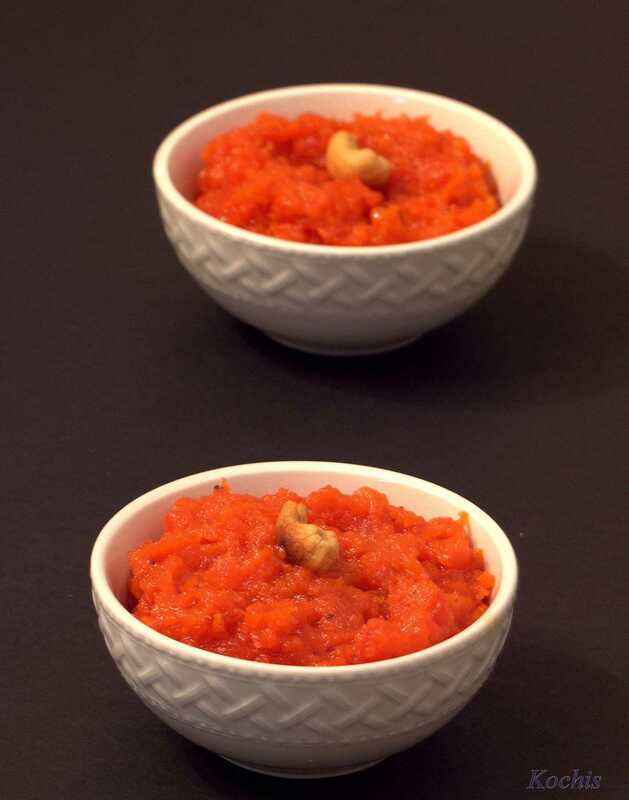 Here is a recipe for a really unusual halwa that definitely merits an experiment in the kitchen. 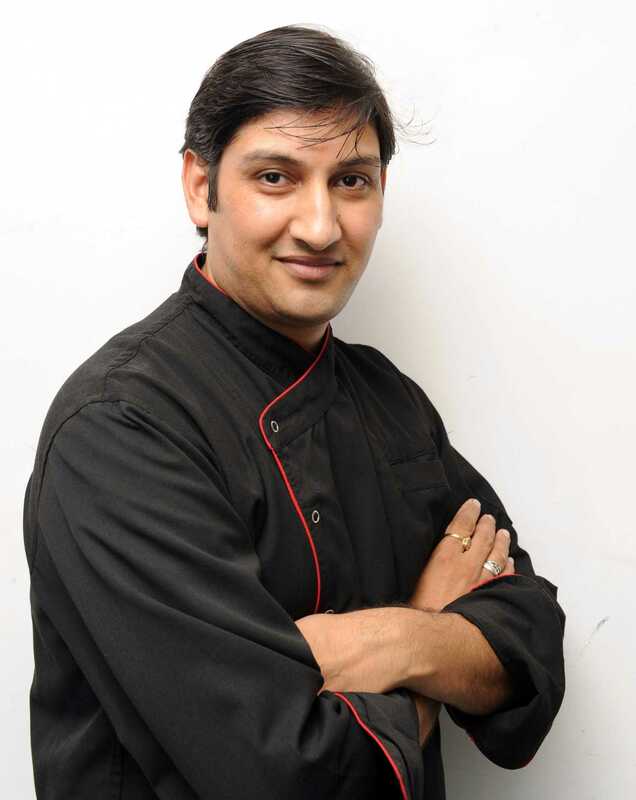 Chef Anand Panwar, Executive Pastry Chef at The Roseate, takes special pleasure in culinary alchemy - often mixing unusual ingredients and creating never-heard-before combinations. 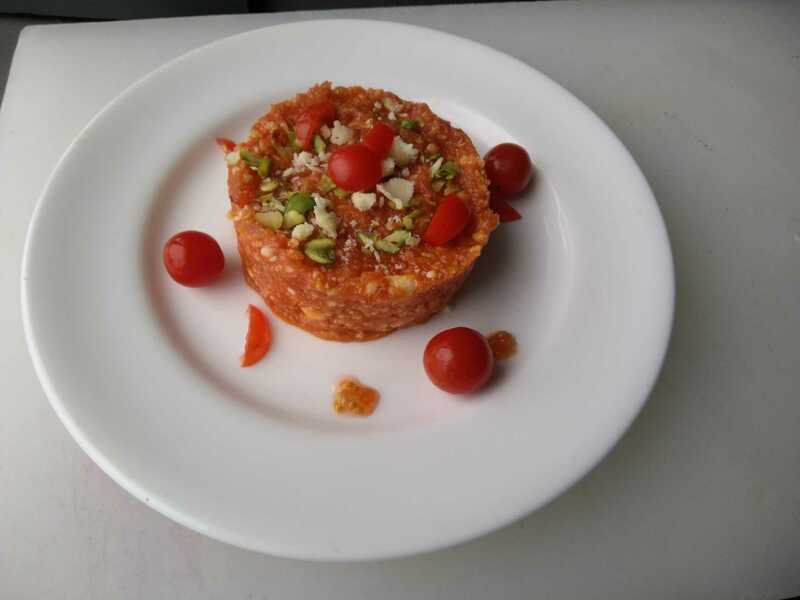 "A tomato chutney popular in Bengal was my inspiration for this halwa. 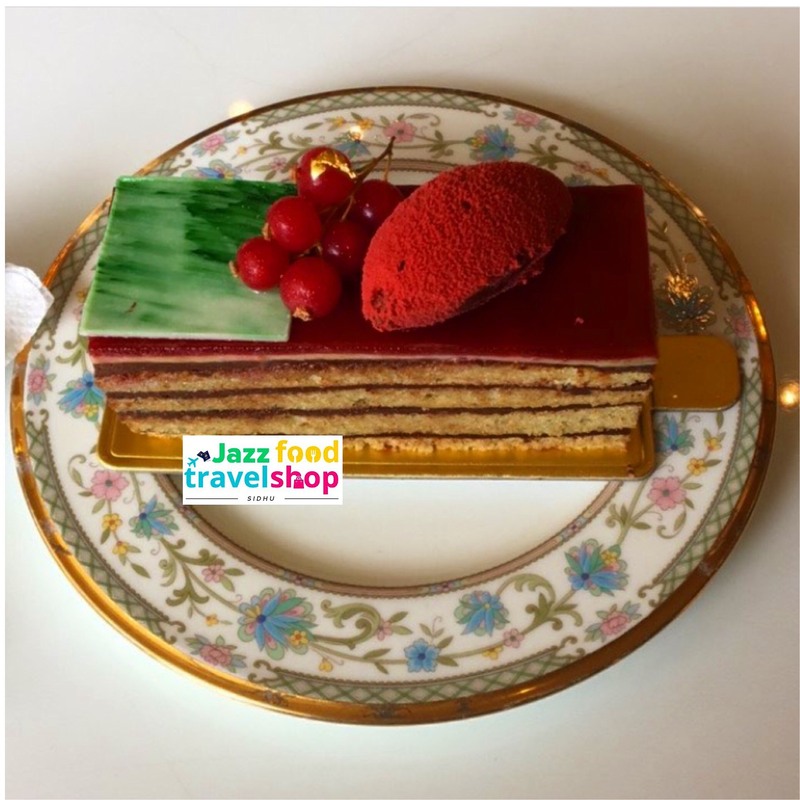 This dish is ideal for those who don't like their desserts too sweet, but with a bit of tang. Also, the khoya, makes it denser so the whole dish is a coming together of completely different flavours and textures," he says. Method: Wash, deseed and chop tomatoes. Grate khoya and keep. Heat desi ghee in kadhai, and add tomatoes. Roast on low flame till the ghee floats on top - this should take about 8-10 minutes. Add sugar and combine well. Turn off the flame and add khoya. Mix again. Add half the quantity of almonds and pista and remove to serving bowl. Garnish with more almonds and pista. If you like, you can also garnish with cherry tomatoes , microgreens and edible flowers.